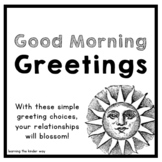 This is a 8.5 x 11 poster to hang outside your classroom door. 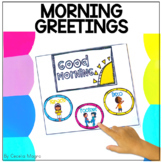 I use it to greet my students as they enter the classroom, and give the option of how they want to start their day! They love being able to choose, and it gives me a great chance to read their mood. 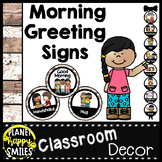 Need an unique, visually supported way to greet your students in the morning? 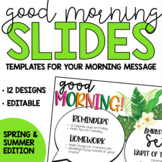 Grab this freebie and just print, laminate and stick outside your classroom. 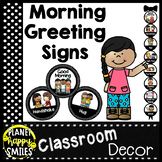 What a great way to build classroom community and meet every student in the morning with a smile! 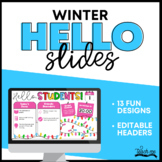 All visuals supplied by boardmaker. 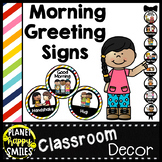 Colorful Morning Greeting Posters - How would you like to be greeted today?